I have long felt that the Religious Society of Friends is, in effect, a sort of religious order within the wider Christian Church. Believing that this is so, I am led to ask: What is our charism as a community? What is it that justifies the separate existence of the Quaker Church? If we are ultimately merely a subset of the worldwide orthodox Christian Church, what reasons can we offer for existing as a distinct society – an order – within the wider body? To put it another way: What are the special gifts that we bring to the wider Body? What is our particular mission as a people within the universal Church? Truth be told, much of the time Quaker churches and institutions make their decisions with same degree of functional atheism as within the wider Church. However, at the core of our tradition is a practice of inward listening and trust in the living presence of Christ to guide us as a community. Out of our testimony that Christ is literally here, the functional Head of his Church today, we have developed a method of decision-making that involves group discernment of God’s will. Rather than relying on human hierarchies or political-style voting, our charism expresses itself in a practice of voteless decision-making, where all the members come together and are (more often that one would guess) brought into clarity and unity by the present Spirit of Christ. The discernment of God’s will by the entire membership of the Church, waiting to be brought into unity by the Holy Spirit, is one of the most profound characteristics of the Religious Society of Friends that justifies its autonomous existence within the wider Church. We believe that this is a practice that the entire Church should adopt, and the best way we can witness to this super-human way of being guided directly by God is to continue to practice it as a distinct community. Out of this process of waiting together as a community for the guidance of Christ’s risen presence and power, a number of other distinctive beliefs and practices have emerged. Once again, we believe that these beliefs and practices are fundamentally faithful to the Truth of the gospel, and we feel that we are justified in remaining a distinct community within the wider Church so that we might continue to witness to the truth that has been revealed to us. One part of our particular mission as Friends is to witness to the primacy of the spiritual reality of the gospel over the formal ritualism that so often threatens to choke out the Seed of Christ. Because we believe that the inward baptism of the Holy Spirit is so important, we feel led to refrain from participating in the outward ritual of water baptism. Similarly, because we feel that communion with Christ is fundamentally a spiritual reality, we refrain from conducting the ritual of the Lord’s Supper within our community. Instead, we receive communion with Christ through a form of sacramental silence and prophecy. Most Christian bodies believe that water baptism and the Lord’s Supper are essential for salvation, and we know that many will be worried for the state of our souls. Yet it is precisely for this reason that it is so important that we maintain our witness in this regard. While we do not believe these traditional Christian rituals are wrong per se, it is our fervent belief that Jesus Christ desires lives of holiness and love, not religious ritual. We pray that, through our abstention from these forms (and, admittedly, adoption of different forms) we might help to reveal the truth that God is truly sovereign and that we cannot control God through ritual. There are a number of other distinctive beliefs and practices that form part of the Quaker charism: Acknowledgment of the spiritual equality and ministry of women and men; denying participation in war and preparation for war; care for the Creation; refusal to swear oaths, and a general intensity in our call to be truthful at all times. All of these beliefs and practices are rooted in our experience with the risen Jesus of Nazareth, the Messiah. In our desire to be faithful to him, we feel called to remain a distinct society – an autonomous order within the wider Church – until such a time as our faith and practice is fully integrated into the entire Body. An excellent post Micah! Great thoughts for Friday as we head into our weekend activities. I do not find it contradictory to be a Quaker within the Anglican Church, just as I do not find it contradictory to be the Anglican Church within the greater body of the Orthodox church. As an Anglican I still particpate in the physical sacraments, but as a Quaker, theologically I know that the physical manifrstations are nothing without the inward Spirit. As for decision-making – most of our decisions are made in small discussion forums and with a view toward concensus. As for our priests and bishops – the role is a charism, but not a special grace. Anglicans have often confused this, preferring a more Roman clericalism, which I find in opposition to Christ’s teachings and the practice of the early Church. There is reconciliation possible between the two divisions in the English Church yet, if we are allowed to reconcile. I have been thinking the same direction, and for this reason I love the official name of “Religious Society of Friends”, as opposed to “Friends Church.” The first recognizes that we are part of a wider community, the second emphasizes a level of independence implying exclusiveness. I was raised in the Anglican tradition & for most of my adult life have been a Quaker without a meeting so have worshipped with various church bodies & the 2 things I feel are the greatest Quaker testimony is the silent listening for God & the belief that because we are all priests no other intercessor is necessary. Silence impacts my verbal ministry ~ a ministry I do not think I would have without the Quaker understanding we are all priests & the guidance of the Spirit is available to all. Most of your examples ring true for me. However, I see no unity among Quakers on who or what we experience as Divine. I can read your post and change every reference, from “Jesus” and “Christ”, to “God”, and it makes sense to me. But I know there are other Friends who would change my references from “God” to something else. I don’t think Quakerism is a subset of a larger Christian Church. I would be curious to hear responses to your post from Friends who attended the last World Gathering of Young Friends, and grappled with the diversity among different branches of Quakerism. I would like you clarify what you mean when you say: “much of the time Quaker churches and institutions make their decisions with same degree of functional atheism as within the wider Church”. I do not understand in what sense Quakers make their decisions with functional atheism. On the other hand, when you say: “We pray that, through our abstention from these forms (and, admittedly, adoption of different forms)”, what different forms are you referring to? I think it is very insightful the comparison you make between Quakerism and monastic orders. And it is very interesting to think about the charism we have as Quakers and how this charism affects our witnessing for Christ. I liked a lot your post, Micah. I think we affirm our distinctive call by conforming ourselves to the will of God, as shown to us by the Christ Within . . . that our deep individual and communal instincts are for obedience and this obedience is the only path that will keep Friends (with a traditional understanding of Quakerism) on their precisely proper path. My experience is that the Lord is raising up Friends with this traditional Quaker understanding of Christianity in places all over the world, and finding ways to support and mutually aid one another is becoming more and more urgent. I find hope in youthful Friends speaking such compassion and wisdom. So many Friends Meetings are small and family centered. I have witnessed many a Meeting for Worship for Business where it was clearly demuring to the patriarch or, more often, the matriarch, with little or no time to wait for leadings. This is a departure from our testimony that is an ordinance of sorts. What was so sad for me was interviewing elder birthright Friends that would tell me they had never experienced a leading, nor were able to quell their inner chatter. Elders without inner treasure, no wonder M4W4B might be considered atheistic. I have also witnesses some pretty visceral liberal meetings abandoning our testimony for good ol’ common sense. I must say that Conservative Friends, I have witnessed, Wilburites, have long thoughtful M4W4Bs that on their face resemble the testimonies dating back to George Fox. Micah, this is my first comment on your excellent blog. Your essay is excellent, and all comments have enlarged on what you have to say. For my part, the idea that our Society is something of a religious order rings true. As a liberal Quaker who is actively engaged in learning about my Christian kin, I am perfectly content with calling ourselves a religious order (Society!) within the wider Christian church. However, I am mindful of how my liberal fFriends would feel about such a label. Although I don’t speak for anyone but myself, I sense your essay would resonate with a minority of the liberal Friends. If there were a way to find other ways of describing this religious charism, I would be very likely to share the vision widely. @magdalenaperks That’s interesting. I never realized that you considered yourself a Quaker within the Anglican Church. How does that work? I always considered being a Quaker (or an Anglican) to be a corporate identity. For example, I like a lot of things about the Episcopal Church, but I could never consider myself an Episcopalian, because I don’t submit myself to that particular society (so to speak) of believers. I do submit myself to Friends in Rockingham Meeting and Ohio Yearly Meeting, which makes me feel myself a member of that society. In any event, I am very glad to hear that many folks in the Anglican Church do their business more along the lines of consensus. I would love be a part of teaching Friends decision-making practice (which, as you know, goes beyond even consensus) to other Christian bodies. I pray that the divisions that are present within the Anglican Communion might be healed. I pray for Christ’s reconciling power to work within your fellowship to bring you into true spiritual unity. @michaeldavidjay I, too, like our official name. You ask good questions. @Ganeida It is interesting that you have been accused of all kinds of heresy. Part of this is natural – Friends have always been accused of heterodox views, even though the early Friends were extremely orthodox in their perspective. In fact, until the 20th century, all Friends were distinctly Christian, even if they disagreed on what they emphasized in their doctrine. At this stage in the game, though, there is a vocal minority of Friends who are not Christian. A substantial number of Friends Meetings in the English speaking world have unmoored themselves from the Christian tradition entirely. It is a strange thing. Does such happen in other Christian traditions, I wonder? Perhaps Episcopalian Bishop Shelby Spong would be an example? @Lisa H My understanding of the Friends tradition is that we are a stream within the wider orthodox Christian Church. A small but vocal minority of Friends today disagree with me about this, and they are entitled to their opinion. Nevertheless, I would invite anyone who is curious about the fundamental orientation of the Quaker tradition to read the writings of early Friends such as George Fox, James Nayler, Margaret Fell, Robert Barclay and William Penn. You will find that they are all thoroughly Christian in their perspective. Furthermore, if you examine the writings of virtually all Friends before the 20th century, you will find little evidence of any non-Christian belief or practice. In the end, the Religious Society of Friends is what its members decide to become. I hope that we will decide to remain a part of the wider orthodox Christian Church, just as our spiritual forebears were. @Luís Pizarro Hi, Luís! What I meant by my reference to our frequent “functional atheism” was that we often act as if it is we who need to make the decisions for the group, rather than Christ. I know that I have been guilty of this far too many times, thinking that I had to solve things myself, rather than relying on the power of God. This happens to us in groups, too, and our Meetings and institutions often operate based on human wisdom, rather than waiting and opening ourselves to the mind of Christ. I hope this is clarifying. @Quaker Jane I resonate very much with your call to obedience. In my Meeting, we talk a lot about the need to be “yielded” to the Lord, surrendering our own preferences to allow God’s perfect will to live in our lives. As we submit ourselves to the indwelling Spirit, we are remade in the image of Jesus. As we grow more like him, we become yielded and responsive to the voice of the Father in all things. @Mx. MB I am sad to hear of your experience of the state of many of our Meetings. I pray that we might strive together to be receptive to the way that Christ is leading us today, despite our self-centeredness and spiritual tone-deafness. @Paula I am glad to know that you can personally resonate with my sense of being a part of a smaller “order” within the wider Church. I hope that you are able to find ways to communicate this reality in your context among Liberal Friends. Friends have so much to offer the wider Church, and we would also be enriched by the exchange. I hope you – and all of us having this conversation – will help to lead the way! Well written, as usual. I’ve heard the RSF described as “a monastic order for families” (monastics being those who lead ordered lives of prayer). This is less so today than a couple of generations ago but I believe there are signs of restoration. Having been raised by Bible-battered Midwest Unitarians, I was surprised to find that George Fox had the same objections to standard Christian doctrine as my elders, but he based his objection not on rational logic but SCRIPTURE! Which led me to look at the Bible in a new way. Question for non-Christian/Theist Friends: Tell about the God you don’t believe in and the Christ that makes you uncomfortable. I suspect that many Christ-centered Friends would agree with you. I’ve opened my blog Templestream up to multiple authors if you or anyone else would be interesting in posting any articles. 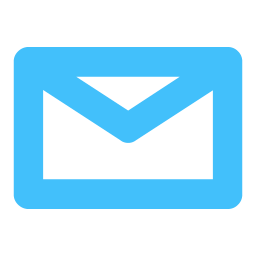 I’ll link back to your site and give you credit for articles. If we do not adhere to our Friends “charism” , as Micah puts it, we have failed as Friends. We might as well not be part of the Church or be part of another denomination. 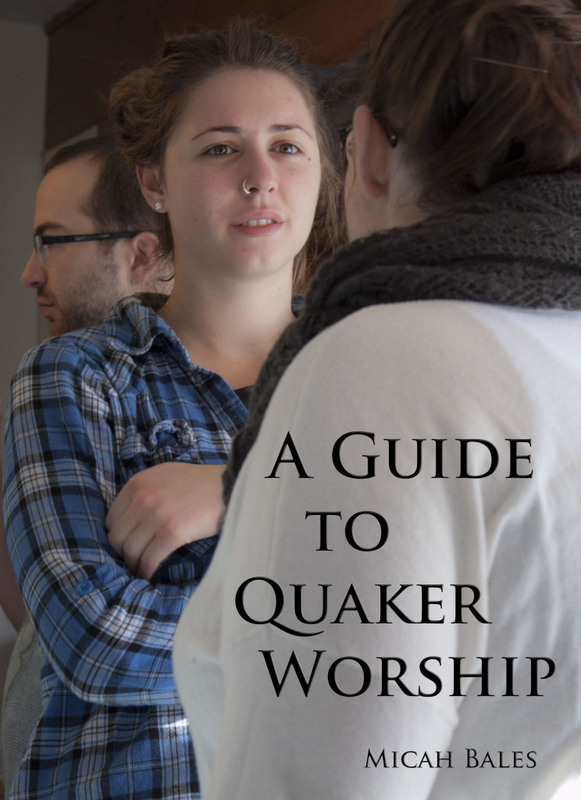 What led me to Quakers was the Light in the face of a Quaker. She invited me and I came; settled in and came home. Love and tolerance is the particular and blessed charism that Quakers have to offer. There is “that of God” respected and allowed to be in all living beings.period paragraph.